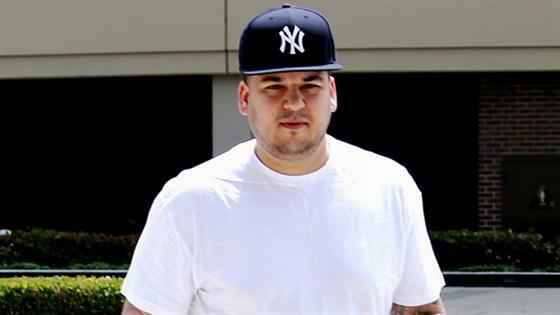 Oh, there you are, Rob Kardashian! Kris Jenner's notoriously private son, who has kept out of the spotlight for two years, made a rare, blink-and-you'll-miss-him appearance in a video his sister Khloe Kardashianposted from their family's Christmas morning celebration. He is holding his daughter Dream Kardashian, 2. "Merry Christmas Dreamy Dream," Khloe says, as Rob kisses the child on her cheek. Rob himself also posted on his Twitter page a photo of Dream laughing and wearing a festive plaid dress and red ribbon in her hair. "Merry Christmas everyone ‼️" Rob wrote. "Best feeling in the world to see my baby Happy :)"
It is unclear whether Rob attended the Kardashian-Jenner family's annual Christmas Eve party, which was held for the first time this year at Kim Kardashian and Kanye West's house. Despite Rob's choice to remain out of the spotlight, he remains close with his family. Last Friday, Khloe defended her brother on Instagram following a negative comment from a user. 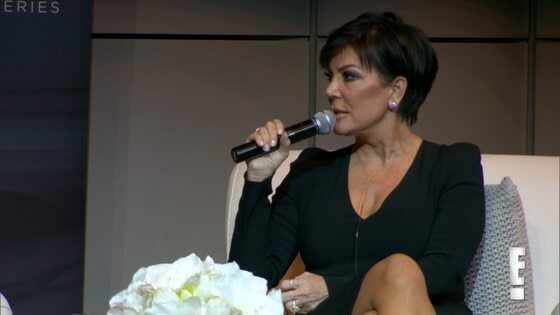 One person wrote to her, "It's a shame Rob Kardashian is a member of the family and he is NEVER mentioned!!!" "My brother is my entire world!" Khloe replied. "He is definitely a king...it is a shame that you [can't] respect us for respecting his privacy. You should not comment if you truly aren't informed on our family."